From The Oklahoma Gazette. Copyrighted by Gazette Media, Inc. Republished with permission. Shortly after dawn on Aug. 12, 1986, Bill Calvert stood in front of the Tulsa County Republican Headquarters, a campaign pamphlet clutched in his hand, and waited. The recently retired oil executive had demanded a sunrise showdown with his opponent for Tulsa's open congressional seat, a race that Calvert, despite being a political novice, should have won. In December of the previous year, Tulsa's moneyed Republican establishment had lined up behind him, pouring contributions into his campaign. Most of Calvert's crack team of consultants, pollsters and even his campaign manager had signed on with him assuming that Tulsa's former mayor, with whom they had worked for years, wouldn't enter the race because he was tied down with a failing insurance business. Calvert was a shoo-in. But that was December. 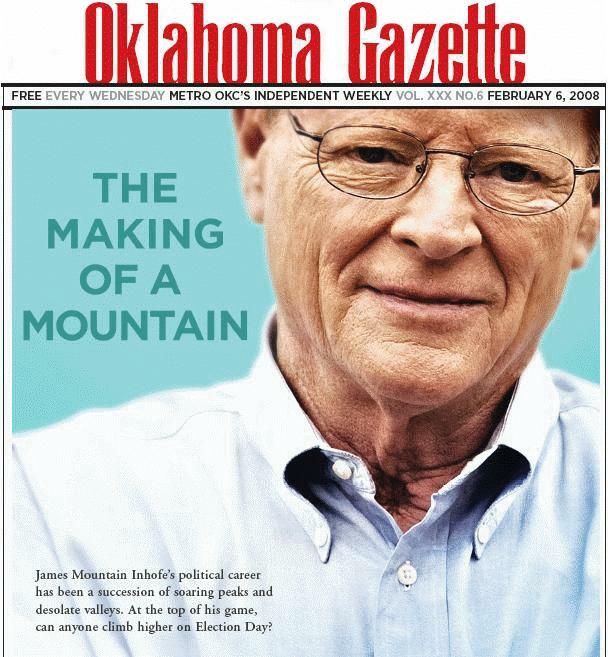 This was August, and the pamphlet's author was that same former mayor and Oklahoma's most formidable glad-hander, James Inhofe. If you had asked Calvert (and the two bleary-eyed reporters on the scene did), he would have told you that the pamphlet was full of lies, or at least half-truths, or maybe the whole truth but only half the story. That morning, he wanted a fight, but Inhofe never showed. And Calvert didn't win. 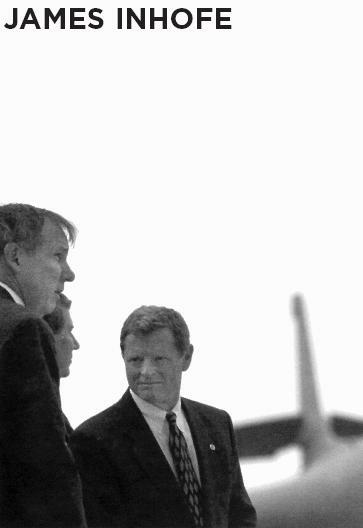 "It was an awkward deal," said Mike McCarville, primary consultant to Calvert in 1986. "Almost every one of us had been consultants, managers, pollsters, kitchen-cabinet types in all of his (Inhofe's) campaigns going back to '74 or '68. We were all on the other side. He kicked us all pretty good." With the primary behind him, Inhofe wrapped himself in the cloak of conservatism. "God, gays and guns" (the three G's) were the selling points that would get him elected time and time again. Add a fourth "G" -- global warming -- and you have the caricature of Inhofe so often splayed across blogs, both left and right, and on talk radio, both left and right. In 2008, Inhofe faces, arguably, his most unorthodox challenge yet in state Sen. Andrew Rice. Many will focus on Inhofe's signature partisan rancor and fiery rants, or whether Inhofe can recast Rice's progressive message as liberalism in disguise. But beyond the caricature and the rancor, Inhofe is a pro, a tireless (some say ruthless) campaigner with a roller-coaster history in both business and politics. taking on people (who) were doing dishonest things. I've felt that a lot of times I do things because I know nobody else will do them. At 22, Ronald Reagan was a sports announcer for WHO radio in Des Moines, Iowa, which shared an office building with an insurance company where Inhofe's father worked as a claims adjustor. James Mountain Inhofe, who was born in the town, said he remembers passing encounters with "Dutch" Reagan, as the Republican president was nicknamed at the time, and Perry Inhofe Sr. talked often with admiration about the sportscaster. During World War II, when money was tight, the Inhofes still found the cash to buy tickets to Reagan movies. James Inhofe would later become Reagan's poster child for the American mayor, and campaign for him during his run for the White House. When asked if he had any ideological influences or political thinkers he admired, Inhofe said Reagan was the only person who came to mind. "He did what he said he was going to do, and he did it with grace and authority. I just really felt close to him," Inhofe said. In 1942, Oklahoma state insurance officials asked Inhofe Sr. to come to Oklahoma and save a failing insurance company. In Tulsa, James, the youngest of four, ran the quarter-mile for the Central High School track team and learned to fly airplanes, a lifelong passion. After saving the failing company, Inhofe Sr. started the Mid-Continent Casualty Co., where both his sons, James and Perry "Bud" Inhofe Jr., would later work. Quaker Life Co., the life insurance company James Inhofe managed in 1986, spun off from MCCC in the Seventies. James Mountain Inhofe was born Nov. 7, 1934, in Des Moines, Iowa. Inhofe served in the Army from 1955 to 1956, returning home to pursue a bachelor's degree in economics at the University of Tulsa. Although early biographies and newspaper accounts said he obtained his degree in 1959, Tulsa University's registrar found during Inhofe's 1994 campaign for U.S. Senate that he completed his degree in 1973, one year before he ran unsuccessfully for governor. In 1959, he married Kay Kirkpatrick, his wife now of 48 years. In 1966, Inhofe won a seat in the Oklahoma House of Representatives, entering the same year as David Boren. He spent one two-year term in the House before moving on to the state Senate where, alongside Boren, he cast himself as a reformer of a corrupt state government personified by Gov. David Hall. "I can remember taking on people (who) were doing dishonest things," Inhofe said. "I've felt that a lot of times I do things because I know nobody else will do them." For nearly a year, as Inhofe campaigned for governor in his first statewide race, the six-member Inhofe family piled into a sleeper van on Monday morning and set off across the state, returning to Tulsa every Saturday night for church on Sunday morning. The family slept, showered and ate their meals in the van. Daughter Katy Inhofe collected turtles from the roadside, 17 of them over the course of the campaign. In the race, Inhofe had a Confucian pact of nonaggression with Boren, who was running in the Democratic primary: "He who throws mud loses ground," Inhofe said at the time. They were both gunning for the incumbent Hall. Inhofe went out of his way to say nice things about Boren and their mutual efforts for reform in the Senate. "Frankly, I thought I'd win the primary and he'd lose the primary," Inhofe said. "He had always supported me and I had always supported him. At that time, the state was a five-to-one Democratic state. So, when he won, I knew that was over." So, two years later, Inhofe went on the offensive, this time against Democratic Rep. James Jones, in Tulsa's 1st District, traditionally a Republican stronghold. "I normally mapped out my campaign ahead of time and could anticipate anything that an opponent would throw at us," said Jones, who served as ambassador to Mexico in the Clinton administration and now works at a D.C. law firm. "I had not anticipated some of the charges that Inhofe tossed at us." But the charges glanced off the longtime incumbent. The second loss was a big blow to Inhofe, worse than the governor's race, leaving him without public office for the first time in nine years. McCarville, who worked with Inhofe in the Seventies, said, "I thought that after the loss in '74 and the loss in '76, he'd probably quit politics. Seems he doesn't know the meaning of the word 'quit.'" In fact, only two years later, Inhofe would be celebrating a political resurrection, the first Lazarus moment of his political career. "Nobody wants a three-time loser," he told the Tulsa World after winning the Tulsa mayor's race. McCarville cited that win as one of the high points of Inhofe's political career. "When he won the mayor's in '78, it was a week-long celebration, I'll guarantee you," he said. For the next six years, Inhofe split his time between mayoral duties and heading up Quaker Life. The company charged forward, heavily investing customers' premiums in real-estate projects. But the market faltered, and, in the end, a $2 million investment in the Pine Island recreational vehicle resort on Grand Lake and a condominium project on South Padre Island brought down the company. In Inhofe's opinion, Quaker Life fell victim to a recession that made it difficult for any life insurance company to survive during the Eighties. "Everybody who wants to drive a car has to buy insurance, but everyone who's alive doesn't have to have life insurance," Inhofe said. Nonetheless, lawsuits from Quaker Life stockholders, a Tulsa bank and the FDIC followed in the wake of the collapse, as investors sought to secure payment on loans given to the company. But in the end, all the suits were dropped or settled in favor of Inhofe, according to newspaper accounts from the time. The company's failure created a $1.7 million deficit in the Oklahoma Life and Health Insurance Guaranty Association Fund, according to The Associated Press. 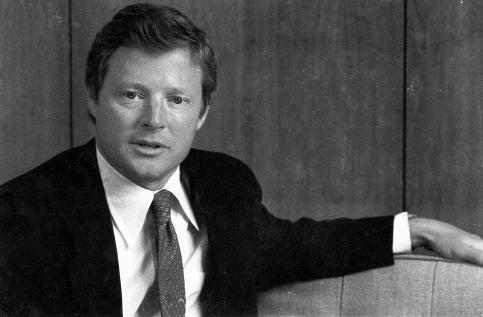 Bad political fortune followed on the heels of Inhofe's business failure when, in 1984, a close loss in the Tulsa mayoral race once again signaled the end of his political career. "That was devastating, quite obviously; you get elected three times and you're running on your record, and you get beat," said McCarville, who was still advising Inhofe at the time. But, as his general election opponent, Gary Allison, said, Inhofe parlayed the very public business collapse into a positive for one more try at public office. In 1986, many Oklahomans were suffering economic hardship. "He was able to spin it as, 'I know your pain,'" Allison said. The message resonated with many Tulsa Republicans, who sympathized with the beleaguered candidate, McCarville said. For the first time in his career, Inhofe ran on the full spectrum of conservative talking points, unencumbered by the intricacies of local and state politics. Conservative standard-bearers Gerald Ford and Pat Robertson visited Tulsa to stump for Inhofe and raise money. He played up his ties to the Reagan administration. The race became a rough blueprint for every campaign Inhofe would run after that. He supplemented his conservative rhetoric with a nuanced campaigning style he had perfected in mayoral and state races. In a mayoral race against Rodger Randle, when Inhofe appeared with his opponent, he would talk about his own wife and their four children. "But the way he tried to one-up Rodger on family values is that every opportunity he got, at any appearance where family became an issue, he would pointedly talk about his wife being blessed with children, but he was sad for Rodger and his wife that they hadn't been so blessed," Allison said. Allison remembered the nuance because Inhofe recycled the tactic against him shortly after Allison married his girlfriend of many years. At joint appearances, Allison said Inhofe would demand the floor first and introduce Allison's wife, saying, "Isn't she a lovely newlywed? I sure hope that Gary and Barbara will be as happy 38 years from now as Kay and I have been for the last 38 years." In debates, Inhofe played Allison soft at first before laying a trap, baiting him with shallow statements, and Allison lashed back. "I said something along the lines (of), 'Senator Inhofe certainly has the intellectual capacity to understand anything he wants to understand, but sometimes he's intellectually lazy,'" Allison said. The air went out of the room, and he lost the audience. Whatever the issue, Inhofe's opponents quickly learned to appreciate his gamesmanship, and brace themselves for his stinging closers, especially in the homestretch to Election Day. in a close race, an issue he could run negative on in the end," Allison said. "I thought it would be abortion in our race, and he made it about guns." The ads ran, Allison lost and Inhofe went to Washington. About eight years later, he used the same issue to close on Dave McCurdy, and moved from the south side of the Capitol to the north. In Washington, Inhofe soon joined the ranks of other young conservative standouts like Tom DeLay and Newt Gingrich. He made early inroads with the American Petroleum Institute and the Independent Petroleum Association by floating a proposal for a "floating floor" on the price of oil. As political scrutiny of Inhofe intensified, so did scrutiny of his past business practices. Quaker Life continued to haunt him even into the late Eighties as state insurance officials mulled whether to seek recompense for the $1.7 million deficit in the insurance fund. A half-million dollar suit from the FDIC wound its way through appeals courts, eventually vindicating Inhofe. The bad press continued in May 1988, when he sued his older brother, Perry "Bud" Inhofe Jr. The congressman's lawsuit dragged a simmering sibling rivalry into the klieg lights. James Inhofe claimed that, in 1979, when he traded his interest in MCCC for control over Quaker Life, Bud Inhofe valued the company at $12 million, a gross underestimate of the company's actual value, given that he sold MCCC for about $52 million in 1983, according to reports at the time. Bud Inhofe said he thought of his widowed sister and older MCCC shareholders when he decided to sell the company his father had founded decades before. "I thought after raising four kids that she could really use it," he said. In the courts, as in politics, James Inhofe pulled out a win in a dark hour, but at a significant personal cost. He told reporters at the time that he had no choice but to sue his brother, that he did it for his children's inheritance. Bud Inhofe disagrees. "I think he had all kinds of choices," he said. "I would tell him, and I tell you, that I didn't think his suit had any merit, and a jury felt otherwise." Near Christmas in 1989, that jury awarded $3.6 million to James Inhofe. Rather than wait for an appeal, Bud Inhofe said he paid $3 million out of pocket to avoid accruing $1,000 in interest every day. In every election up until 1988, Bud Inhofe said he donated the legal limit to his brother's campaign. At the time, he told the Tulsa World that he had bailed his brother out of financial trouble six times, and in the wake of Quaker's collapse, took over debts amounting to nearly $400,000. Asked in a recent interview about the loans, Bud Inhofe was circumspect. "I don't know that he ever came to me and asked (for a loan)," he said. "We had some relationship in that area, but I wouldn't say he initiated it." He said he had never taken loans from his brother. One day he (Inhofe) walked into the office and said, "I just rode up the elevator with Barney Frank (an openly gay congressman). And I told him that I've never met a real queer before. I hope I didn't catch AIDS." The two brothers are now on speaking terms, but in the wake of the lawsuit, the relationship was electric. James Inhofe told reporters his brother was trying to "ruin him." Bud Inhofe replied, "I don't think I need to worry about ruining him. He's doing a great job of that himself. I feel that when the truth comes out about Jim Inhofe, he'll be very difficult to re-elect." That idea resonated with Kurt Glassco, a Tulsa lawyer and minister who ran against Inhofe in the 1988 general election. "At that time in his life, he was besieged with things that were problems that took away from, I think, being an effective congressman, and that's why I ran against him," said Glassco, who came within six points of beating Inhofe. As the lawsuits faded into history, largely vindicating Inhofe, the memories of those around him begin to polarize on more partisan lines. Mike Miller worked for Inhofe in the early Nineties. In Chapter 18 of his personal memoirs, titled "Earth to Congressman Inhofe," Miller paints his former boss as an ineffectual, lazy legislative executive interested only in aviation, and "so right-wing he must have flown in circles." As Inhofe's spokesman, he advised the congressman to conduct media junkets or town hall meetings back in Tulsa. "I suspected the congressman simply refused to follow a strategy that might require additional effort, to perhaps introduce legislation or hold hearings," Miller wrote. "Inhofe apparently felt no need to continue his congressional duties when returning to his home district. From what I observed in my six-month stint, Inhofe preferred to relax away from Washington." In an interview, Miller said that his memoir had not been critical enough of Inhofe in retrospect. In private, Inhofe effused praise for leaders like DeLay and Gingrich who were laying the foundation for a "Contract with America" and subsequent Republican takeover of the House, but did little to help them. Miller said, on such matters of legislative strategy, the boss was a "less-than-deep thinker" who said whatever came to his mind. "One day he (Inhofe) walked into the office and said, 'I just rode up the elevator with Barney Frank (an openly gay congressman). And I told him that I've never met a real queer before. I hope I didn't catch AIDS,'" Miller said. On behalf of the Inhofe campaign, Josh Kivett issued a response to Miller's quote. "While it's been nearly 20 years since his short stint with the senator's office, Mr. Miller's comments seem to be nothing more than the unfiltered remarks of a disgruntled former employee," Kivett said. Inhofe said in a recent interview that the AIDS subject wasn't something that he had done much research on at the time of previous comments. James Inhofe's aerial adventures are well-documented, but his aviation tour de force came in 1993. That was the year he re-enacted the solo, around-the-world voyage of Wiley Post on its 60th anniversary, and his flyboy style spawned a diplomatic headache. The journey kicked off with an elaborate press conference, organized by Inhofe's then-press secretary, Mike Miller, at the Smithsonian Air and Space Museum underneath the suspended hulk of Post's original aircraft, the Winnie Mae. Inhofe set off on his journey and got to Germany before he ran into a snag trying the enter the former Soviet Union. He didn't have a visa, and the Russians were making him wait to get it. Inhofe got antsy. "I just ran out of time," Inhofe said. "So I just took a chance and went in." Inhofe remembers fondly how a man lugging 5-gallon buckets to refuel his plane in the vast steppe west of Moscow pulled him aside. The man unfolded a picture of himself standing next to Post on the same runway 60 years earlier, Inhofe said. When he landed in Moscow, Russian authorities put Inhofe in the back of a truck and whisked him off to a "hotel for foreigners without visas." He was detained in Moscow and again in Irkutsk, where local authorities weren't aware of his flight. More than 20 names were floated as possible candidates in the immediate wake of Boren's announcement that he would step down as senator to become president of the University of Oklahoma. When the dust cleared, Inhofe and McCurdy were the only two left standing. In that first Senate campaign, money flowed into the race, which would tip the balance of the Senate in favor of the Republicans. This allowed Inhofe to turn up the volume on his campaign. He began to rely increasingly on wedge issues, negative advertising and even guerilla tactics to get his point across. Inhofe, perhaps more than any other politician in Oklahoma, has seized these wedge issues and driven them deeper into the electorate. "Some people do have their fears, and Jim's always been able to tap into that," said Dan Morrissey, a Gonzaga law professor who lost a primary to face Inhofe in the Eighties. In that race against McCurdy, Inhofe also used his refined sense of political gamesmanship to throw McCurdy off balance, including paying a heckler to wear a Pinocchio mask and harass his opponent during a television debate and other public appearances. In 1996 and 2002, Inhofe handily defeated his opponents. Shortly after beginning his second full term, he became chair of the Environment and Public Works Committee. In this position, he railed against measures to abate climate change. Inhofe, for his part, said he has studied the issue extensively and sincerely believes that the movement to cap emissions or influence the carbon economy is a well-funded play by liberals to "destroy America's economy." "The amount of money that goes in, oh, my gosh, it's far greater going to the liberals from the George Soros(es), the Michael Manns, the Heinz foundation, the Pew foundation, the Barbara Streisand and the Hollywood elitists," Inhofe said. "They're the ones that have the money that really goes into this thing." Inhofe is well-funded -- better-funded than at any other point in his political career with $1.8 million net contributions, six times more than Rice has raised, according to Federal Election Commission reports filed at the beginning of October. Rice often points to Inhofe's funding prowess during stump speeches, noting that he, Rice, gets a larger percentage of his donations from Oklahomans, some 55 percent for Inhofe, compared to 80 percent for Rice. Inhofe still draws on the loyal Republican base he has cultivated over the last 30 years, to the tune of a quarter-million dollars this cycle alone, according to FEC records. So far, Rice has not drawn heavily on money from political action committees, which account for 2 percent of his total donations, compared to 36 percent for Inhofe, according to the Center for Responsive Politics. The same data organized by industry shows that Inhofe receives more contributions from the petroleum industry than any other interest group (Inhofe said the CRP leans to the left). Mike Carrier, a longtime Oklahoma Democratic politico who has waged several campaigns to defeat Inhofe, said he expects much of the same in 2008. He said Inhofe will air ads starting in early summer "wrapping himself in the American flag with 'America the Beautiful' running in the background" before unleashing a volley of negative ads against Rice. Not willing to wait that long, in October, the Oklahoma Republican Party posted a Web site called "Rice's Web," which links Rice to liberal pariahs like MoveOn.org and Hollywood liberals, and even goes as far as associating Rice with the Communist Party. For his part, Inhofe said he had no idea the ORP was going to create the negative site. "In fact, I didn't even know that the Oklahoma Republican Party had a Web site," Inhofe said. In an interview, Inhofe said he had never met Rice and had nothing but nice things to say about his potential opponent. In stump speeches, Rice has taken Inhofe to account for his record and for having "gone Washington," but Carrier said that will not be enough. "If you don't have the stomach to get down in the trenches and slug it out toe-to-toe with Jim Inhofe, then you're going to find yourself bleeding on the ground," he said. "My advice to Andrew Rice is duck and cover. His children aren't even going to be immune. Nothing is sacred to Jim Inhofe -- nothing, except winning." Copyrighted by Gazette Media, Inc.